Recently, my brother in law’s boss called and asked him why he was filing for unemployment. Seeing as how he was at work that day, his boss was perplexed. My brother-in-law hadn’t filed for unemployment. To figure things out, my sister called the state department and found out that his identity had been stolen. She then began the long drawn out process of working through an identity theft case on her own. She spent hours and hours sorting everything out. She was lucky that it only took about 20 hours because the average identity theft victim spends 41 hours resolving it. Through the painstaking process of restoring my brother-in-laws identity, she found out that a hacker in China had stolen his social security information. He had hacked their doctor’s computer system. Computer hackers are getting more and more sophisticated. 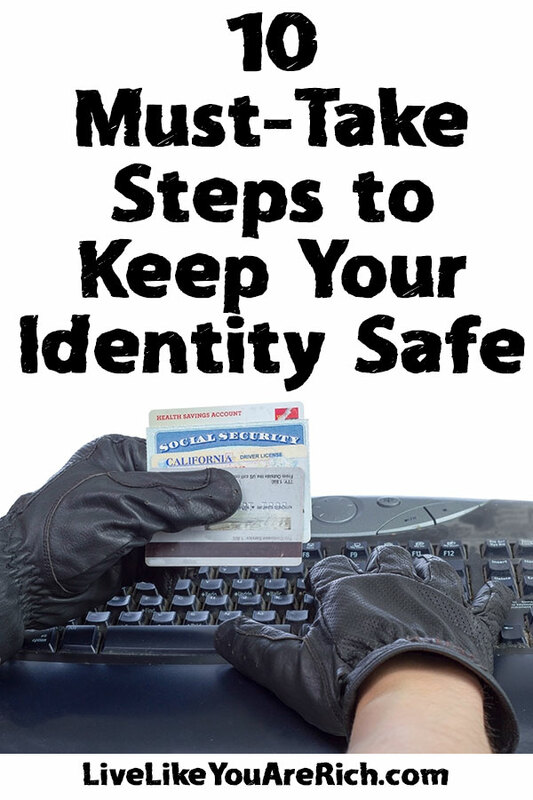 As a result, it is increasingly important to guard yourself against identity theft. In fact, hackers are getting so good, data breaches are becoming more and more common. I’ve even been a victim of two large scale data breaches: the November 2013 Target and the October 2014 Home Depot data breaches. I had to get new credit cards. Recently, there was a HUGE data breach that could effect tens of millions. Health insurer Anthem Inc (parent to Blue Cross Blue Shield) , reported February 2015 that it was hit by a massive data breach. Anthem said that 8.8 million to 18.8 million people who were not its customers and 80 million who are could be victims in the attack. Records that were accessed included names, dates of birth, member ID/Social Security numbers, addresses, phone numbers, email addresses and employment information such as income data. When data is breached, often it will be sold on the black/underground market to the highest bidder. 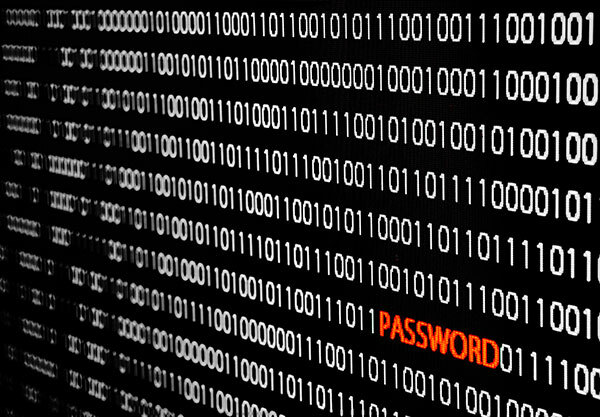 Say your username and password were uncovered on one site. If the highest bidder then uses it to access your email and other accounts, it could be detrimental. Anthem has began sending out letters of notification of breach to likely subjects. Studies show that individuals who receive a data breach notification letter are more than four times as likely to become victims of identity theft. 1-Do not put your social security information on any forms, give it over the phone, or put it anywhere public unless you are legally required to do so. 2- Sign up for LifeLock or other similar Identity protection service. They typically provide you with 5 different forms of protection. It monitors over a trillion data points, constantly scans for threats on your identity, tracks your credit scores, and if anything were to breach your identity, LifeLock will spend up to 1 Million dollars to restore and get you your good name back. Further, the new LifeLock Ultimate Plus program offers several new activity alerts that add peace of mind against identity fraud in a digitally connected world. 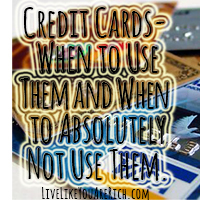 3- Check your bank and credit card statements often. I am a firm believer in checking all financial statements once a month. Call on anything you do not recognize (even small amounts). In January I went through my December statement. There was an unknown charge for $1.99. I called my bank and asked them who it was. Immediately they transferred me to the fraud department, cancelled that card, and sent me a new one. Apparently thousands -even tens of thousands- had that same charge on their card. Had I not called, the thieves with my CC information would have most likely made a very large transaction the next time around. 4- Keep good tabs on your credit (and your children’s credit too). By keeping tabs on you credit score you can see if anything weird shows up. Also, particularly with the Anthem breach, hackers may use your children’s social security numbers fraudulently because they are less likely to be checked for years to come. You have everything to gain by checking regularly to make sure no credit history has been created using your child’s Social Security number. 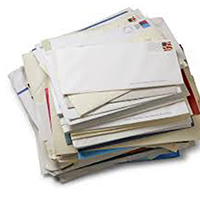 5- Be careful with your inbox. I have gotten all sorts of weird emails with dangerous downloads. If you don’t know who they are from or what they are, don’t download it! 6- Guard your pin number. Learn these three ways to prevent your pin numbers from getting stolen here. 7- Use caution if you sell items online. I love to buy and sell used items. Once, I received a check for $6,000 more than I was selling my car for and was told to cash it and send the sender the extra cash. It was a very legitimate looking check. I took it to the bank and they ran it for fingerprints and sent it to their fraud department. I luckily didn’t fall for that scam. Having a cash only policy has saved me a bunch of headache. Be aware of scams to get your account numbers, get cash back from a sale, etc. 8- Use difficult passwords. Don’t use the name of your dog, child, or best friend. Alternative numbers, letters, and symbols. For important passwords like bank information, use a unique password that you don’t use for anything else. 9- Use an anti-virus software. I bought a new PC and didn’t have an antivirus software installed. Within 3 days I had hundreds of malware, crapware, and viruses spread on my computer. It was so bogged down, I had to take it back. To prevent this from happening again, I upgraded to a Mac. Using a reliable anti-virus software is a smart thing to do to protect your personal info. 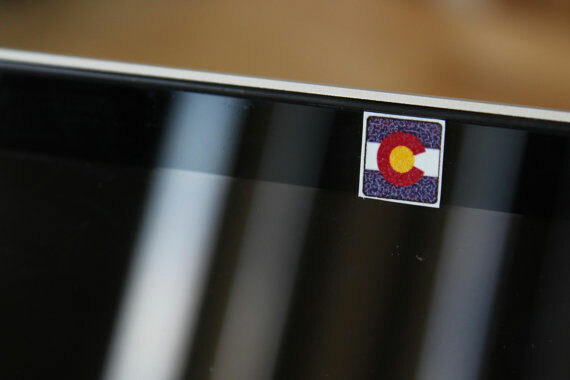 10- Put a sticker over your webcam. I recently watched an entire news segment on how teenagers were being stalked and blackmailed through their webcams. Hackers can fairly easily take control of your webcam and spy on you and steal personal information. Simply take a sticker or sticky part of a Post-it note over the webcam. Take it off when you want to Skype, and return it when done. It wouldn’t hurt to put a sticker over your phone’s webcam either. 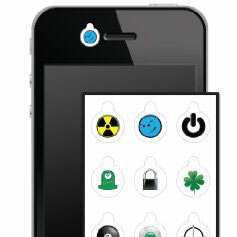 Something as simple as a sticker can protect your identity! I don’t mean to use this post to be a scare tactic. It is a fact that identity theft is a huge crime and many innocent people are suffering from it. If you enroll in an identity theft service they will pay and work to recover your identity if the worst were to happen. But rest assured, if you take the aforementioned steps, you will reduce your risk significantly. For other ‘rich living’ and financial tips and warning, please subscribe, like me on Facebook, and follow me on Pinterest. 11 – If you’re going to pirate music, please make sure the “music” you’re downloading isn’t an exe file. John_Mayer_discography.exe won’t work very well with your media player (they’re much more fond of mp3s), and is just going to stick you with a keylogger or worse. 12 – No, there is not a Nigerian prince who wants to send you $100 million dollars. thanks for sharing this. identity theft is increasing day by and becoming a more complex problem.